Since Kim left FV, we’ve been missing each other loads. So one day she whatsapped me and said let’s have tea. I immediately canceled whatever I had so that I can catch this girl before she left for Australia. 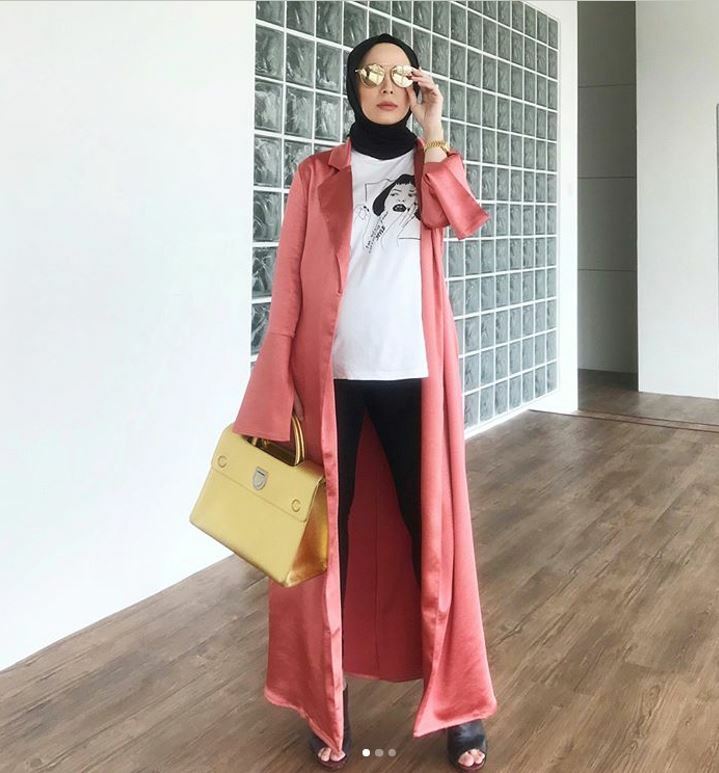 She turned up in her FashionValet t-shirt and a Sofina bag, and I cried inside knowing that we will always be a part of her life wherever she goes. Hormones. Anyway, I made her take my outfit photos and as usual she made me do stupid things like stand on the bench in my crazy sharp heels. And as usual, I will always listen to her. Here, I wore a simple sweater belted at the waist. I paired it with flare pants from new designer Zakwan Anuar, who btw, if you’re cool, you would know. His fashion show alone had all the who’s who attending and he is a breath of fresh air in the local ready-to-wear scene; minimal luxe, I would say. 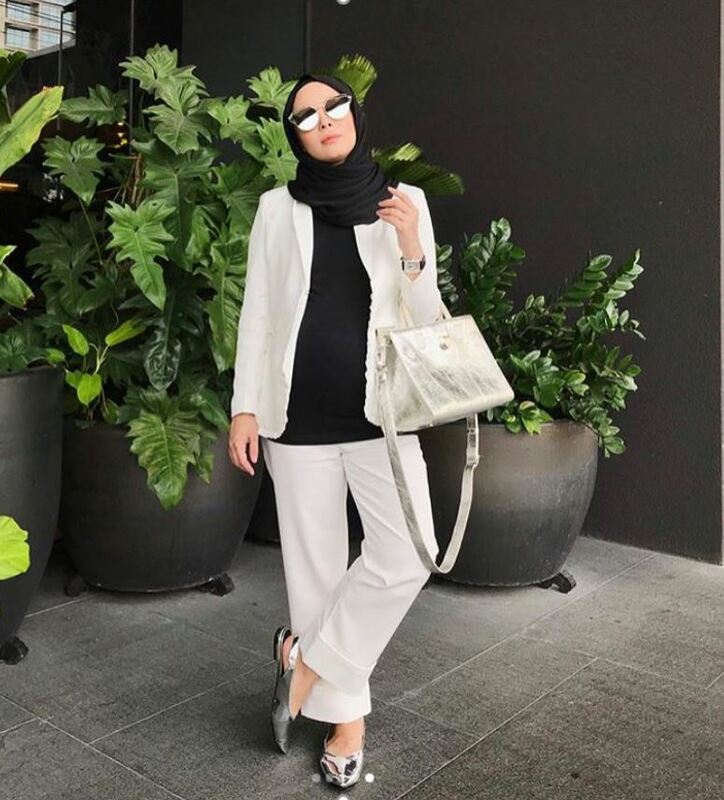 Wearing a top from Milktee, pants from Zakwan Anuar, both available in several colours at FashionValet. Scarf from Valentino, bag from Chanel, heels from Giuseppe Zanotti. 4th pic! So sweet and pretty!!! Pls pls restock the top pretty!!! Are u EVEN sure that bag is from Chanel, Vivy ? 🙂 Where is the Chanel logo on that bag ? 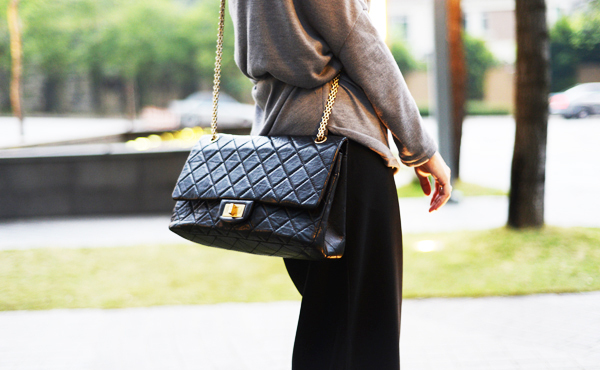 That is a Chanel reissue bag miss/mr anonymous. You should know better not to question Vivy on her designer bags!!! Especially especialllllllyyyyyy if you don’t speak Chanel!